A poster design for an annual Godzilla feature film screening, held as an It Came From Schenectady (ICFS) event. 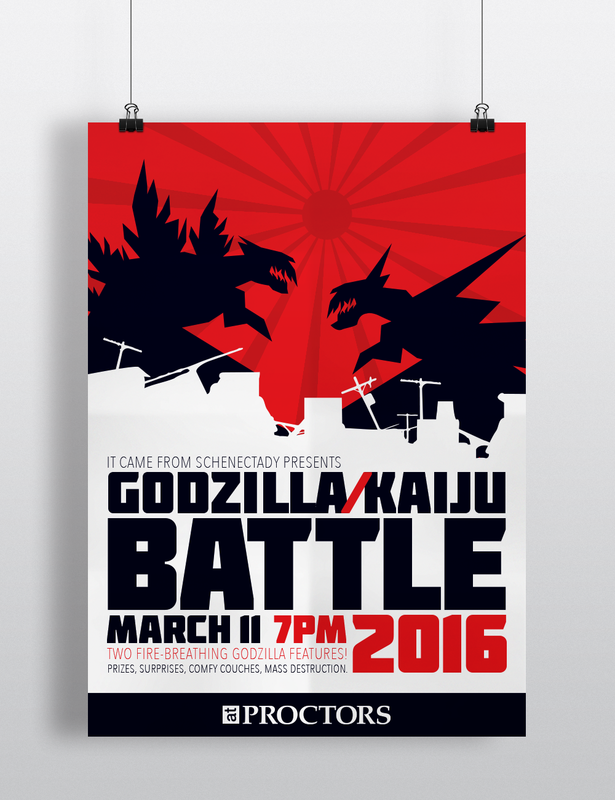 The jagged shapes and bold graphic style of the poster reference the violence and destruction viewers will observe as Godzilla fights his enemies. Poster, Godzilla Kaiju Battle 2016.